Curt Green is a lifetime resident of Texarkana, Arkansas. Curt attended Texarkana Community College then went on to obtain his BBA degree from the University of Arkansas at Little Rock. In 1973 he started residential real estate sales, then in 1980 he went full time into commercial real estate sales, development and construction. Curt is the owner/broker of Curt Green & Company, LLC. Since Curt’s venture into the commercial real estate arena he has participated in over 700+ transactions in sales, leasing and development, in Texas, Arkansas, Oklahoma and Louisiana. Curt is a member of Texarkana Board or Realtors, Arkansas Association of Realtors, Texas Association of Realtors, North Texas Commercial Association of Realtors, the National Association of Realtors and the International Council of Shopping Centers. Curt is a managing member of C2C Real Estate Services, a company that represents a most effective combination of talent engaging in development, construction, investment and management of commercial real estate, having developed/constructed over 200 properties in fourteen (14) states. C2C Real Estate Services is comprised of a number of entities; development and investment companies, and C2C Construction Services, LLC., a fast-track Design/Build Construction Company. Curt believes strongly in community and business involvement. Past Arkansas/Oklahoma Chairman for the International Council of Shopping Centers, serving about 600 members representing retail tenants, developers and construction companies. Chairman of the I-49 International Coalition representing Arkansas, Louisiana and Missouri. 2003-2005 Arkansas State Chairman for the National Federation of Independent Business, and is a member of NFIB Leadership Trust. Annual Trips to Washington DC to lobby for small business thru the NFIB, US Chamber or the ICSC. Civic organizations: have been a very important part of Curt’s activities. He has served on the Board of Texarkana Historical Society and Museum, Kiwanis Club, Four States Fair Association, Texarkana Arkansas Board of Adjustment and the Business Organization for a New Downtown (B.O.N.D.) and the Wadley Foundation. Curt also served as Chairman of the Texarkana Chamber of Commerce, president for Volunteer Services Bureau and the Texarkana Work Center. 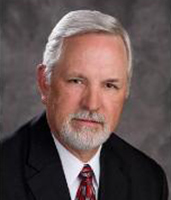 He is a 1980-1981 graduate of the Leadership Texarkana Program. In 2014, Curt received the Idalee Hawkins Leadership Award for community service.